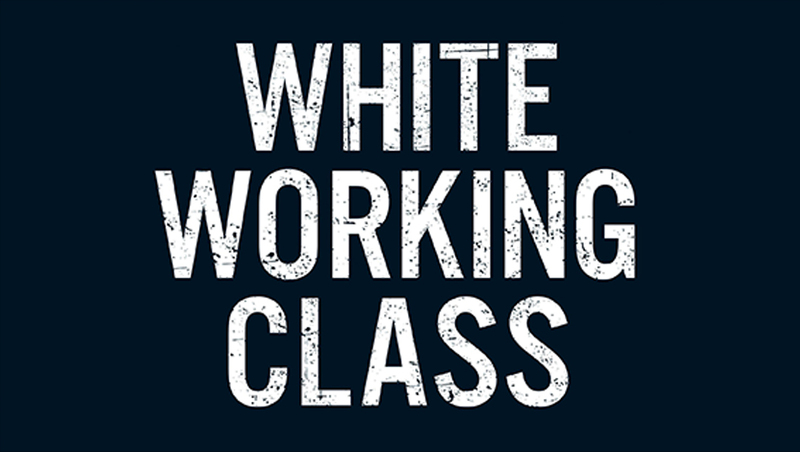 Joan C. Williams, White Working Class: Overcoming Class Cluelessness in America. Boston: Harvard Business Review Press, 2017. 192 pages. There is a profound malaise in contemporary Western politics and you, dear reader, are likely part of the problem. Such is the claim of Joan Williams’ powerful new book, White Working Class. While the book is primarily an attempt to explain the victory of Donald Trump to a stunned liberal America, it finds resonance in other Western democracies, Canada included. How might you be part of the problem? If you are reading this, you are, in all likelihood, part of what Williams terms the “professional-managerial elite” (PME). She defines this class as those in the top 20 per cent of income, where at least one member of the household has a college or university degree. In this class are found doctors, dentists, lawyers, academics, consultants, managers, architects, senior government bureaucrats, media editors and so on. Quite apart from tax debates, this “class cluelessness” is doing great harm to our politics, Williams argues. That’s because the values and political outlooks of the PME are significantly different from those of the genuine “middle class” – or what she calls the “working class” to differentiate it from the class clueless version. The working class, in this view, comprises those who make between the 30th percentile of household income and the 80th percentile – that is, the middle – as well as those who earn above the 80th percentile but don’t have a university degree in the household.2 This usually includes people in construction, trades, manufacturing, retail, the service sector, some small business owners, nurses, police officers, firefighters and so on. 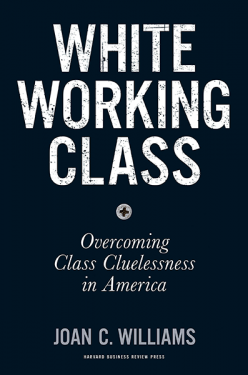 There are two other groups that lurk around the bifurcated class structure above, although Williams doesn’t dwell much on them in the book: the “poor”, those beneath the 30th percentile of household income, and minorities – presumably because the book is about the white working class (WWC). Plutocrats, to the disappointment of Marxists, do not make an appearance, something to which I will return. Once presented and elaborated, the book’s class schema is hard to shake. You can’t read or watch the news without seeing it: media debate consists mainly of PMEs talking to one another (the media’s financial travails notwithstanding). That’s not to say that others haven’t offered up more nuanced class schema. But its parsimony, and its contemporary resonance, make Williams’ schema compelling. Williams details its potency by getting readers to think like ethnographers – pushing them to understand why people have certain values and predispositions, and how those values and behavioural patterns make up their “folkways” in functional, predictable and resilient ways. It is, in short, an exercise in getting you, the presumed PME, to see things from the perspective of the WWC. Many habits of the professional elite – from artisanal religion to a life of self-actualization – require a college education. America doesn’t provide that, so we need to take the working class as we find them. We don’t fault the poor for failing to value the same things the professional class values. We need to extend that courtesy to working-class people of all races. Many of our truths just don’t make sense in the context of their lives. The claims she makes are about broad tendencies, not absolutes – class is predictive in a probabilistic, not a deterministic, way. And while her claims are backed up by social scientific research, she does not litter the book with footnotes or academic references – this is a book written for accessibility, not peer review. As a result, some claims will strike the reader as too blunt or sweeping, but they nonetheless ring true. To begin, she documents the nature of working-class labour. It tends to be highly structured, supervised work – it is usually routinized, sometimes boring – and it can be emotionally and physically demanding. Given the moderate pay associated with such work, it usually entails long work weeks, and WWC families are typically dual-income families – and thereby strain to manage the care of young children. To be sure, PMEs often face similar issues: they too work long weeks, they too can do repetitive work and they too struggle with the challenges of childcare. However they do so with greater resources, with greater personal autonomy, and their work tends to be tied to high-status employment through which they find social fulfilment. This leads PMEs to treat work in a “totalizing” way: their occupation comes to define them and consume them, whereas for the WWC it is more a means to allow them to do other pleasant things in life. This is a crucial insight, and I return to it shortly. In addition, and here is a first source of tension, it is usually the PMEs that are bossing the WWC around, or admonishing them, or evaluating them, or charging them exorbitant fees. These daily frictions generate resentment. Lawyers – “shysters” – and academics – “phonies” – become particularly maligned. The nature of contemporary labour markets also means that the WWC tends to be precariously employed. The protection that unions once provided in the private sector has diminished greatly in North America, and high levels of unemployment or underemployment generate a pool of willing replacements. PMEs are more protected from labour market insecurity, either directly through (usually) public sector unions or quasi-unions (professional associations), or through their mastery of highly specialized knowledge. And since there is a generational transmission of class privilege, PMEs tend to be the daughters and sons of other PMEs, who can in turn support them if need be – even if they are far away. To working class members of all races, valuing hard work means having the rigid self-discipline to do a menial job you hate for 40 years, and reining yourself in so you don’t “have an attitude” (i.e., so that you can submit to authority). Hard work for elites is associated with self-actualization; disruption means founding a successful start-up. Disruption, in working-class jobs, just gets you fired. This labour market experience leads to a more cautious approach to social change. And for the WWC this is reinforced by the conspicuous examples nearby of those who have failed to adopt a conservative, disciplined approach to life: the “hard living” WWC who fall prey to various addictions or social habits which land them among the poor or destitute. This helps explain the resentment of the poor on the part of some in the WWC, who feel that their hard work and social self-discipline has allowed them to avoid that fate – so why should their limited resources be redirected toward those who have fallen behind? Perhaps most importantly, the high social status that PMEs derive from their “totalizing” careers means that their “ascribed identities” – gender, race, sexuality, nationality, etc. – recede in significance. In Goodhart’s terms, once again, these are their “achieved identities”. For the WWC, social status is derived more from the exact “ascribed identities” – gender, race, sexuality, nationality – that PMEs tend to submerge. This leads to profound mutual misunderstanding and tension. PMEs sometimes casually denigrate any status based on traditionally favoured ascribed identities, and they cannot fathom how the WWC can still defend them. But that is because for the PME they are less central to their social esteem – and in fact, some celebrity activists actually “gain” in social status from the very act of denigrating traditional bases of status. (Hollywood? Media? Academia?) Is it any wonder that many in the WWC loathe many in the PME? A recent study found that 38 colleges, including five in the Ivy League, have more students from the top 1% than from the entire bottom 60% of the income distribution. Far less than 10% of college students in the middle three quintiles of family income go to very selective schools, and less than 3% go to elites or Ivys. The American higher education system operates as a “caste system: it takes Americans who grew up in different social strata and it widens the divisions between them,” concludes public policy expert Suzanne Mettler. And yet, when it comes to policy prescription for the travails of the WWC, who have faced years of stagnant incomes and deindustrialization, the solution is always simply “more education” – a prescription mostly dished out by, you guessed it, PMEs. Never mind that it is more difficult for the WWC to make the trek to the best universities, given their more geographically circumscribed social networks and support; never mind that going to university involves major debt, all for uncertain prospects; never mind that not everyone is inclined to academic pursuit: the solution to the dislocation of globalization is more education. And if you don’t follow that path, then your misfortune is your own fault, the PME mantra implies. And if your community begins to fray as manufacturing jobs leave, leading to addiction and other social ills, then it’s okay for others to call your social group “white trash,” the last acceptable slur in polite company. The appeal of Trump’s, and Bernie Sanders’, protectionist stance becomes immediately apparent. The wariness of shredding the existing social safety net also follows – even if Trump has predictably turned into a fraud on this score. And the intense resentment of PME norms and identity politics comes into focus. On this latter front, Williams documents how resistance to “political correctness” has become a class act: the PME has long policed the language of the WWC, arguably even more intensely in a social media world, and not abiding PC culture becomes an act of class rebellion. In an era when the economic fortunes of the white working class plummeted, elites wrote off their anger as racism, sexism, nativism – beneath our dignity to take seriously. This has led us to politics polarized by working-class fury. “We’re voting with our middle finger,” said a Trump supporter in South Carolina. This is not to deny that such troubling sentiments exist in the WWC. They do. But Williams also chides PMEs for failing to see their own subtle forms of racism or sexism – in neighbourhood self-segregation, or in the weaker relative commitment of PME men to child rearing and the privileging of their own careers – or the way that their economic privilege and occupational self-realization allows them to let other potential status reversals roll off their back. PME feminism, which looks down on stay-at-home moms, also comes across in class-inflected ways: for the WWC, the ideal is often to lead a “settled life,” where the burdens of child rearing do not fall on top of gruelling work regimens – a pattern more associated with the traditional family model. Immigration, needless to say, becomes an especially intense flashpoint, though Williams doesn’t dwell on it as much as she should. National identity, which is a source of great pride for many in the WWC, is implicitly or explicitly denigrated in the push for mass immigration and amnesty. In the cosmopolitan PME vision, anyone should be able to become an American (or Canadian, etc. ), even those who entered illegally. In the eyes of the WWC (and others), this effectively strips the national identity of its exclusivity, and thus much of its status value. The white majority is also expected to remain silent as its demographic plurality is challenged – which many interpret as a loss of control, a surreptitious “globalist” siege. 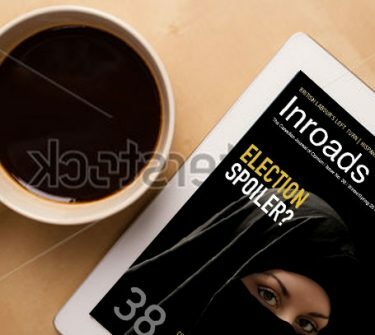 What becomes evident through the book is just how dangerous and destabilizing the new class polarization promises to be. Strident social liberalism and cosmopolitanism now intensely alienates much of the WWC – the economically precarious who might have sided with the left in previous decades – while the centre-left becomes dominated by an alliance of PMEs and the poor and minorities – an alliance that usually touts an uncritical “university for all” strategy and social policy targeted at the poor and minorities and not at the WWC: minimum wage hikes, varieties of affirmative action, and basic income utopianism.5 Opportunities for working-class solidarity are scuttled, and so the welfare state fails to be revamped or frays yet further – thereby engendering the same anxiety that heightens cultural conflict. Plutocrats do not play much of a role in Williams’s book, but their impact should not be neglected. For decades, American business exploited cultural resentments to leverage WWC support for pro-rich Republican policy – e.g., Fox News. Trump, as president, is now simply the naked embodiment of that strategy. But since his campaign involved populist appeals anathema to American business – immigration restriction, protectionism, commitments to protect the safety net – which were taken seriously by the base, the Republican Party is now at war with itself as the “swamp” tries to reassert the old comfortable arrangement. Steve Bannon’s populist wing of the party is currently winning the internal electoral battle against the plutocratic establishment, but it remains unclear whether that will actually lead to any economic populism, since the figurehead for the Bannonites, Trump, is too venal and scattered to stick to the script. Absurd, shameless pro-plutocratic policy is still then the modus operandi of the Trump administration.7 To this point, the WWC base is so riled by cultural issues that they have stuck by Trump, giving Republican lawmakers cover to push plutocratic policy with little fear of (Republican) voter retribution. This is a very unstable mix, though. When the jobs don’t come back, and the swamp remains in place, there will be hell to pay. And so the United States trudges toward crisis, perhaps even fascism somewhere down the road if a more competent demagogue takes over from Trump.8 Meanwhile, Canada appears immune to these trends, or so some wish to claim.9 This is because Canada does not experience as intensely some of the factors that have proved so explosive in the United States: it has higher social mobility; it has no land or sea borders that might lead to sustained, unwanted immigration; rural regions are often kept prosperous through resource wealth (which also diminishes the centrality of education in labour market success); its political system concentrates power and thereby creates clearer accountability and the possibility of effective policy reform; its demographic majority-minority transition is less advanced; it has a more generous welfare state; and it has not yet seen its housing bubble collapse. But beneath the smiling surface of Justin Trudeau’s “sunny ways,” tensions are building here too.10 This is not the time for complacency, but such is the stance among many in Canada’s commentariat. Williams’ book provides an opportunity to dislodge that smug self-righteousness. The book also provides some guidance about what such a “dislodging” might entail, which I crib and add to here. Foremost is the idea that PMEs should not simply write off the concerns of the WWC. Cease denigrating national symbols and identity. Approach trade deals and economic globalization more cautiously. Expand social programs and insurance tied to work histories to bolster their political resilience; emphasize jobs over handouts. Relent on the strident moralizing and language policing. Stop trying to win arguments by calling people bad names. Take political corruption and lax enforcement of the law seriously – law and order matters. Acknowledge and address legitimate concerns about immigration. Create training opportunities unconnected to university. Emphasize what unites citizens more than what divides them. Focus on economic over cultural spats. For this to happen, however, there will need to be a reckoning among Canadian social elites. Canadian media are currently dominated by unabashed “Anywheres.” There is no genuine parallel to Fox News in Canada – The Rebel remains on the margins. The National Post is hardly a hotbed of populism, despite its willingness to play on some of the same dynamics that Fox News mastered. And so the populist threat remains seemingly at bay – until it isn’t. 3 David Goodhart, The Road to Somewhere: The Populist Revolt and the Future of Politics (London: Hurst, 2017). Quote below is from p. 5. 4 See, for example, John Sides, Race, Religion and Immigration in 2016: How the Debate over American Identity Shaped the Election and What it Means for a Trump Presidency (Washington, DC: Democracy Fund Voter Study Group, June 2017); or Thomas Edsall, “How Immigration Foiled Hillary,” New York Times, October 5, 2017. 5 See for example, Thomas Edsall, “Is Trump Wrecking Both Parties?”, New York Times, August 11, 2016. 6 See for example, Andrew Sullivan, “Can Democracy Survive Tribalism?”, New York (magazine), September 19, 2017. 7 See Paul Krugman, “Lies, Lies, Lies, Lies, Lies, Lies, Lies, Lies, Lies, Lies,” blog post, Conscience of a Liberal, October, 14, 2017. 8 See Thomas Edsall, “Democracy can Plant the Seeds of its Own Destruction,” New York Times, October 19, 2017. 9 See for example, Charles Foran, “The Canada Experiment: Is This the World’s First ‘Postnational’ Country?”, Guardian, January 4, 2017. 10 See for example, Frank Graves, “Tolerance Under Pressure?”, EKOS Research, March 12, 2015; “Canadians Not So ‘Exceptional’ When it Comes to Immigration and Refugees Views, New Study Finds,” National Post, February 6, 2017. Josh Gordon is Assistant Professor in the School of Public Policy at Simon Fraser University in Vancouver.